MAC lipsticks never disappoint. 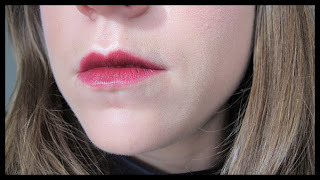 They are creamy, highly pigmented, and don't leave your lips dry. 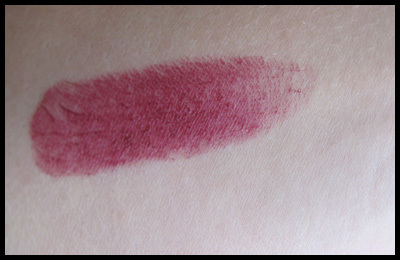 I am totally into the plum lips lately and this color is absolutely gorgeous. I saw a girl that I follow on Youtube (Amarixe) wearing this color and I knew I had to have it. It is very dark and almost bordering on goth but thats what I like about it! It actually looks a little bit lighter than it is in the pictures. When I wear this out I will definitely be pairing it with warm colors on the eyes and face to balance out the darkness. I don't want to look like a Vampire! (Actually I kind of do ;-) ) These dark colors tend to highlight paleness and can look very harsh if the rest of the face isn't warmed up a bit, at least against my skin which gets very light in the winter. This lipstick won't have the staying power of a lip stain or a long-wearing lipstick, but if you just want to wear it for a few hours you should be totally fine! Are you into this lip color trend!? Thanks!! 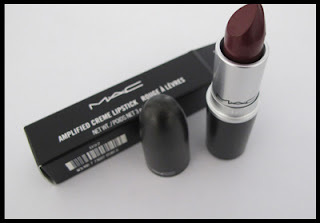 After Amarixe posted that vid this lipstick was sold out everywhere, I had to order it- how crazy is that!